“Just one week after recording Directstep, Hancock returned to Tokyo’s CBS/Sony studios again – but this time alone. The result was Hancock’s first and only all-acoustic, solo piano album, aptly named The Piano. Again the “Direct-to-Disc” recording technique was employed, meaning that Hancock had to consecutively play three to four songs live in one take, making sure not to exceed the maximum recording time of 16 minutes. For most musicians, the conditions would be an impediment, but Hancock seized these severe limitations as a challenge and opportunity to focus his creativity. “The Seventies were very exciting times for me. I had a chance to participate in some very interesting projects. Those projects reflected the kind of variety that I’ve always been attracted to. The Headhunters band had developed into a finely honed group. The V.S.O.P. projects had developed its own unique identity in the straight-ahead acoustic jazz arena. Both aggregations had found audiences that were extremely supportive of the two directions. The CBS/Sony relationship was a test bed for new technologies and new approaches to recording. I had the great opportunity and honor to meet Dr. Toshi Doi who was chief architect for Sony in the development of the Compact Disc and the creator of the Walkman. Through the able assistance of the talented production coordinator Yasohachi Itoh, or 88 as we sometimes called him (his name translates to 88 in English), and the efforts and genius of my former manager David Rubinson, that I had the opportunity to be involved with these new technologies and approaches from the ground floor as the initial concepts were being developed. One of those approaches was Direct-To-Disc, which is not a new approach but an old one updated to, what was then, the current technologies, just in the interim between compact discs and vinyl records. The Piano, for example, was an early “Direct-To-Disc” recording and was also recorded as an early prototype CD before the 44.1 kHz standard was finalized. 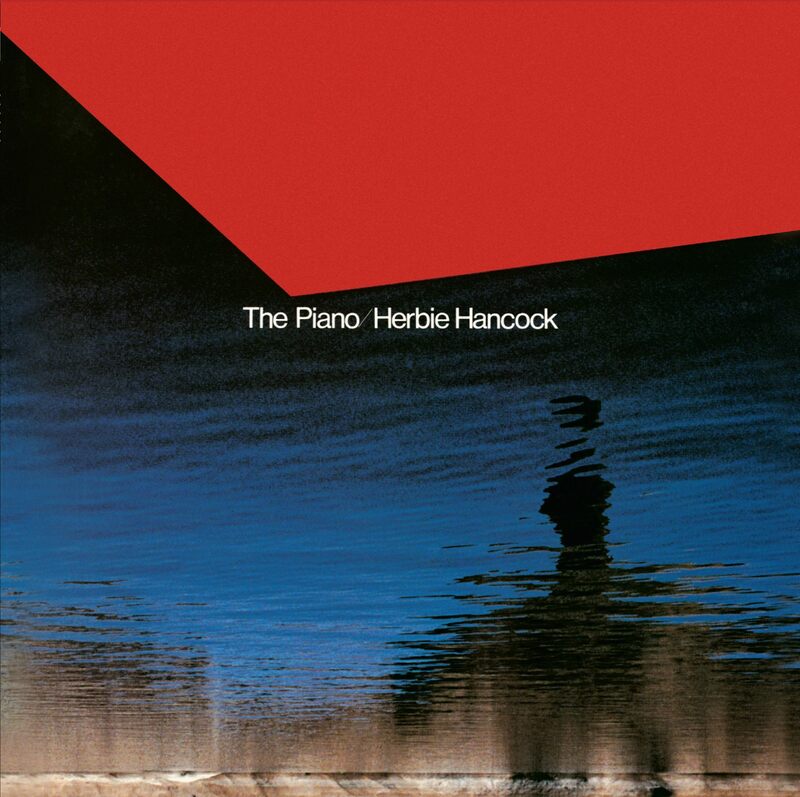 In the lexicon of Herbie Hancock’s recorded output, there is little of his solo piano work. Herbie had moments during his tenure with Miles Davis when, during his solo, Ron Carter and Tony Williams would stop playing and he would create a solo vignette. On the bandstand, he was able to freely express his ultra-creative sensibilities in solo as abstract interludes between the beauty and chaos associated with the Miles Davis Quintet of the mid-sixties and after his tenure with Miles, he only attempted a solo performance once, an alternate take of “Goodbye To Childhood” from his Blue Note album Speak Like A Child. His Warner years (1969-72), were devoted to developing his electric music – a sextet (and later a septet), beginning with Mwandishi, and exploring and developing his use of the electronic music synthesizer, in those days purely analog. Herbie signed a worldwide deal with Columbia in 1973, but negotiated a separate relationship which allowed him to record special projects exclusively for Sony Japan. These were largely acoustic jazz recordings, designed to appeal to Japan’s ardent jazz fans, but not considered commercially marketable by Columbia worldwide. These recordings usually coincided with one of Herbie’s many live concert tours in Japan. The first album done under this arrangement was Dedication, Herbie’s first true ‘solo project. Reflecting his recent integration of purely electronic sounds into his music. This started on Warner and continued on Columbia with Sextant, his first Columbia release. Dedication was to be an ‘electro-acoustic’ solo performance. The first side of Dedication was all just Herbie and the solo acoustic piano, no effects. And he recorded two of his trusted hits, “Maiden Voyage” and “Dolphin Dance.” On the second side, Herbie performed live as he created electronic sounds and effects in real time, captured as a complete performance. So, both performances were in fact recorded live, but were very different musically. These releases were only for the Japanese consumer, and have never been available before outside Japan, or were only available as expensive imports. In 1978 Herbie, and manager/producer David Rubinson travelled to Tokyo, Japan, to participate in a recording session that was cutting-edge recording technology, Direct-To-Disc. Direct-To-Disc recording was a technique that attempted to capture as much of the recorded ambiance and texture without going through the layers of post production that was required in making vinyl LPs (see producers’ notes below). By recording directly to the master disc, there was a clarity that was often missing in traditional vinyl pressings. Herbie and David Rubinson chose the material wisely, recording four new compositions, “Harvest Time” being the most widely known, and interpreting three standards closely associated with Herbie’s tenure with Miles Davis. Herbie had familiar material and the challenge of spontaneously recording an album of solo piano music he met head on. When these recordings were made, in the pre historic days of analog LPs – the state of the art for supreme recording quality was “Direct-To-Disc.” This meant that a live performance was instantly and directly recorded in real time, on a master acetate disc, which was immediately plated and used to stamp out a limited number of extremely high quality LP pressings. Not only were there no editing, fixing or changes possible, but a performance had to fit exactly into the analog LP parameters, including time and amplitude. Generally, the total time was limited to 16 minutes per side, and the dynamic range was controlled totally by the artist and the physical limitations of acetate and vinyl. I tell you this so you fully can appreciate the incredible genius of Herbie Hancock. All of the songs included here were originally recorded “Direct-To-Disc” for Sony Japan – (The Piano). For each side of the two-sided LP, Herbie had to play three – four songs, in real time, consecutively, live. The songs had to be no longer than 16:00 total for each side. Once the songs had been decided, he went into the studio, and – when he was given the cue that the disc was recording, played three or four consecutive songs, lasting 16 minutes total. With just the correct amount of spacing for a spiral groove to be cut between the songs. Produced by David Rubinson and Friends, Inc. Recorded October 25 and 26, 1978 direct-to-disc by Fred Catero, David Rubinson, Tomoo Suzuki, and Bryan Bell at CBS/Sony Studios, Tokyo.